For specific diamonds, please email or call and we'll respond with the price in a few minutes. Special requests can be made at galterman@yahoo.com or at 1-800-891-5151 for all combinations of size and clarity in thousands of available styles. 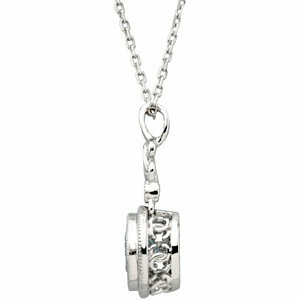 Modern design diamond pendant with 18" cable chain of 14kt white gold set with a certified very well cut diamond weighing approximately .70cts . Ruby, Sapphire or Emerald may be substitued. Please call 1-800-891-5151 to change out. 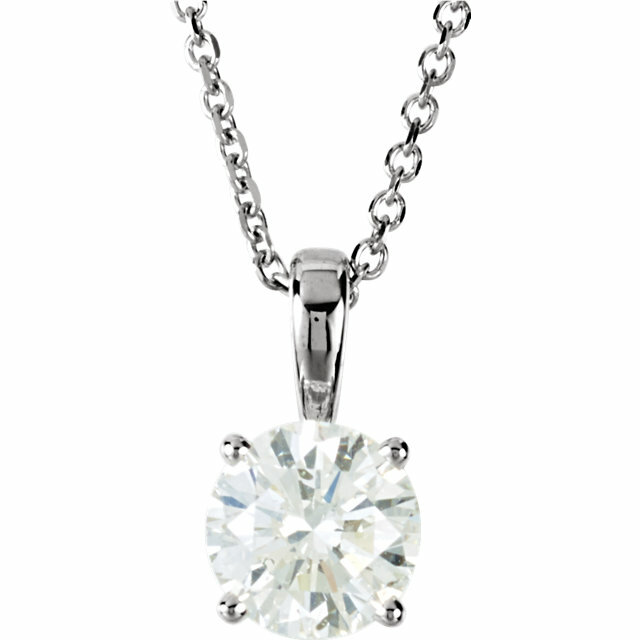 1.00CT 14KT WHITE GOLD DIAMOND SOLITAIRE PENDANT WITH CERTIFIED DIAMOND WITH 18" 14KT WHITE GOLD CABLE CHAIN﻿ INCLUDED. 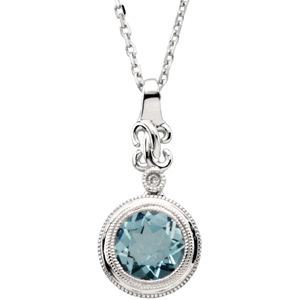 The Diamond Exchange strives to provide all qualities for all budgets at wholesale prices. We will make every effort to locate an item for you. Low overhead from on line sales results in exceptional pricing at thouands below retail stores. Not responsible for site errors. Copyright 1993-2019 All Rights Reserved.